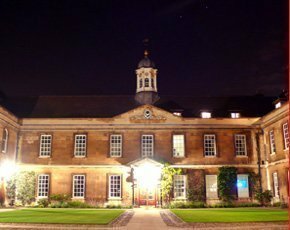 Cambridge university college Trinity Hall has deployed a Nimble Storage hybrid flash array to replace an ageing EMC Celerra SAN that had reached its end of life and was increasingly unable to support the college’s virtual environment. Trinity Hall has 900 students and fellows and 100 staff. It has a VMware virtual server environment with a largely Microsoft application estate, including Active Directory, Exchange and SQL databases to support administration applications. The college virtualised its servers six years ago and had been running an EMC Celerra array with 2.5TB of capacity. But around two years ago, as the college’s IT team began to add applications, it found the Celerra – which was nearing its end of life and was constantly bumping up against maximum capacity – became difficult to manage, said IT manager Eric Marcus. “The performance was acceptable if you were patient. It was always reliable, but we were constantly worrying about its capacity and capability,” he said. Updating the existing SAN with a refurbished added disk shelf and third-party maintenance would be too expensive, he added. Marcus talked to other Cambridge college IT professionals about what storage they used to support virtualisation and found the market leaders – EMC and NetApp – in use as well as homegrown NAS solutions. Marcus’s team settled on a shortlist that included NetApp, EMC, HP and Dell and Nimble Storage. Products from mainstream array suppliers were rejected, mostly on the basis that their products were acceptable but more suited to a larger organisation, with bigger needs for scalability. Nimble was selected despite being considered “disruptive” at the time, said Marcus. “It puts data to be written in the controller cache, then writes to the array as a sequential I/O operation. The SSD drives are used solely as a read cache. The fact this is a somewhat unusual process didn’t bother us as it gave good performance figures and seemed a well-engineered solution,” he said. With the help of Nottinghamshire-based integrator NexStor, Trinity Hall deployed a Nimble Storage CS220 with 320GB of SSD drives and 12TB of nearline-SAS to support the implementation of new server hosts and an upgrade from vSphere 4 to 5.5. At the same time Trinity Hall moved from EMC Networker backup software to specialist virtual machine backup product Veeam. Nimble Storage came out of stealth in 2010, the creation of former Data Domain employees. Its iSCSI hybrid flash arrays marry bulk storage capacity on spinning disk with capacity maximised via compression and data deduplication and multi-level cell (MLC) flash cache for speedy I/O. Key benefits for Marcus are that the Nimble array can easily handle current and future I/O needs and any planned expansion of virtual machines or the addition of a virtual desktop infrastructure.